Flowers are probably the most ancient and touching gift till date. The trend of gifting flowers is probably never going to fade. They can be used for any occasion be it anniversary, birthday or even conveying some message to your loved ones. That is why lot of people order flower rather then buying or delivering them personally. In order to get information about such florist shops in your area or across the world, one can look at the online florist directories. Online florist directory is a very helpful site that will make you aware about all the florist shops in town. 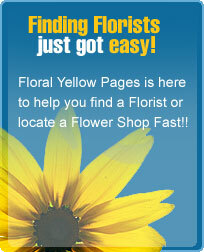 They are the yellow pages of the internet for the flower shops. Online florist directory has lot of information about a particular florist shop apart from their name and address. They will also tell you about the experience and the reputation of the shops. One can avail these directories for selecting florist shop according to their needs and then enquire more about their services, price list and other charges like delivery charge. Some of the florist directory will also give you the price list of the shops. They will also convert the prices in your currency in case of an international delivery. All these amenities given by the online florist directory will save the time and efforts of the customers of personally searching for the best florist shop. Make sure that you select a registered online directory as they are reliable and will provide you with precise information. You will find lot of florist directories over the internet which will give you information about the local shops as well as international florist shops. You can also search on these sites on the basis of different categories like location, price or popularity etc. you can also make an order and do the payments from an online directory. This will give the customers the comfort of doing everything from home. This entry was posted on Friday, October 2nd, 2009 at 3:56 pm	and is filed under Local Florist. You can follow any responses to this entry through the RSS 2.0 feed. You can leave a response, or trackback from your own site.